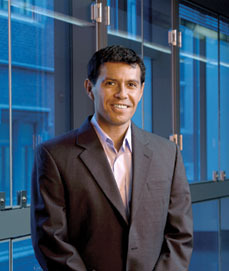 In FY2017, Micro/Bio/Nanofluidics Unit (MBNU) focused on 3 interconnected research topics: bifurcation and instability in microscopic flows of simple and complex fluids; syngery of microfluidics with biomedical engineering (particle and cell manipulations in microfluidics; and micro-nano-fluidic immunoassays; biosensor development at the nano-biointerface. Members of the MBNU unit published 17 peer-reviewed papers in FY 2017, with our research highlighted in MRS Bulletin, Science Daily, and such. The unit members have also actively disseminated our research results to the general public and scientific communities. We have given a total of 44 presentations and seminars in FY 2017, while participating core professional society meetings such as the Society of Rheology Annual Meeting, micro-TAS, Gordon Conferences, Annual European Rheology Conference (AERC), and AICHE Annual meeting. Our unit members have given 11 general science lectures to local middle and high school students and to the general public at local bookstores. Our unit has also appeared on Korean KBS TV in February 2018. Our unit organized two successful OIST mini-symposiums, titled "Transformative Measurement Methods and Experimental Approaches for Bacterial Biofilm” in August 2017, and "Dynamics of Viscoelastic and Inertioelastic Flows" in January 2018. In addition, our unit organized a successful OIST workshop in June 2017, titled "Fundamentals and Applications of Microfluidic Compartmentalization". We also hosted 5 internationally renowned scientists visiting OIST and giving research seminars in FY 2017, with topics ranging from microfluidics, rheology, and bio-MEMs. Personnel wise, we have been actively recruiting new members. We recruited 2 new Ph.D students, Mr. Santo Chan, Ms. Ainash Garifullina. 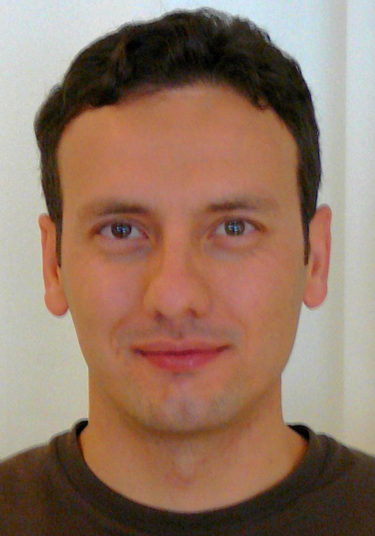 The unit also recruited 1 new postdoc, Dr. Riccardo Funari. While some postdocs happily moved on and found great positions. 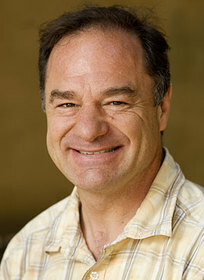 Dr. Casey Galvin, took a great position as a Senior Researcher at Sysmtex Corp, Japan. 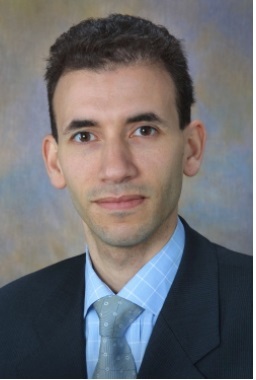 Dr.Francesco Del Giudice is now an assistant Professor in Swanse University, UK. Our unit also hosted 5 rotation students and 3 research interns from University of Western Ontario, Karlsruhe Institute of Technology, and Indian Institute of Technology Madras. We developed a novel glass microfluidic, enabling to capture the first clear visualization of vortex breakdown in a dividing T-junction flow (Fig. 1). By individual control of the inflow and two outflows, we show that even slight outflow imbalances can greatly alter the structure of vortex breakdown, by creating a net pressure difference across the junction. Our results are summarized in a dimensionless phase diagram, which will guide the use of vortex breakdown in T-junctions to achieve specific flow manipulation (Fig. 1). 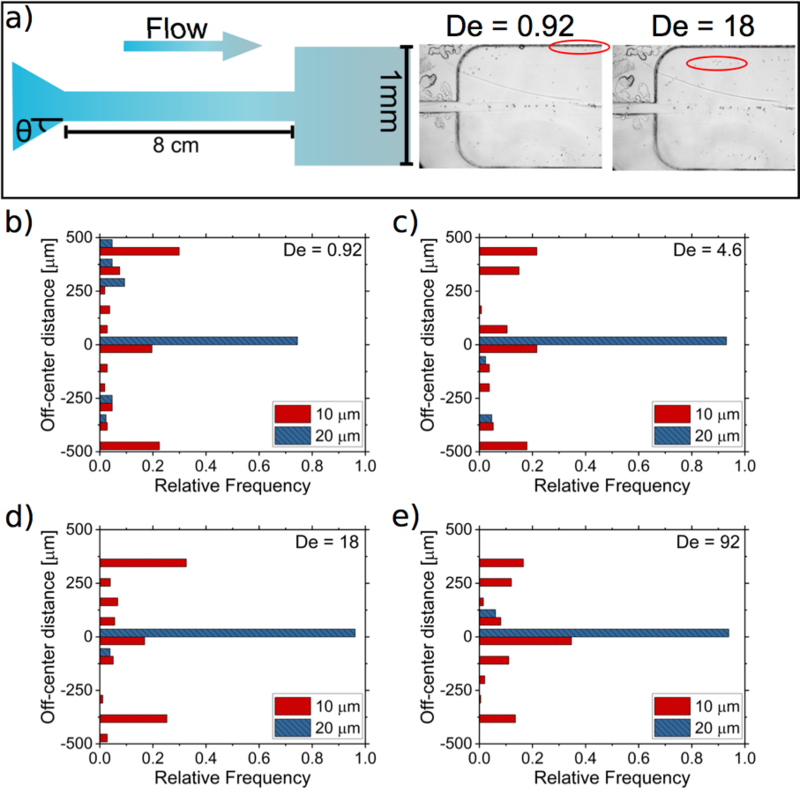 As inertial microfluidics is becoming more important in manipulating fluids in lab-on-a-chip devices, our results demonstrate the importance of accurate device design and flow control to avoid design failure or data misinterpretation in microfluidic experiments involving flow deceleration and vorticity decay. Bifurcations in physical systems are a common phenomenon which can be modeled by a 6th order polynomial potential, formalized in the Landau model of equilibrium phase transitions. Recently, the Landau model was found suitable to describe a flow bifurcation that was discovered around a stagnation point in the cross-slot geometry (Haward et al. 2016, Phys. Rev. E 93, 031101(R) 2016) as Reynolds number (Re) is increased to critical moderate values (Rec). However, the Landau model was not tested for time dependent experiments. Here, we thoroughly test the ability of the Landau model to describe the flow instability in the cross-slot geometry by using a dynamic form of the model (A. Aitta, Phys. Rev. A 34, 2086 (1986) and A. Aitta Phys. Rev. let. 62.18 2116 (1989)) to analyze time dependent experiments of vortex formation. For this purpose, we fabricate novel microﬂuidic devices with various depth to width ratios (α), which represent different transition types (i.e. forward and backward bifurcations) near a tricritical point. We show that the transition dynamics depend on both α and the control parameter ε = Re/Rec 1. Furthermore, the dynamic form of the Landau model displays high capabilities in describing time dependent experiments for forward and backward bifurcations. Additionally, our analysis enables us to expand the phase curve and to predict the critical values for a larger range of α and Re. In conclusion, we find that the general Landau model is highly compatible in describing the transition of forward and backward bifurcations and their dynamics in the flow transition in the cross-slot geometry. Figure 1: experimental set-up, the cross-slot device unique configuration enables to perform time dependent experiments using micro-particle imaging velocimetry. Figure 2: growth of vortex intensity ψ plotted with time, t. The transition slows down as the control parameter ε is decreased to values that are closer to the critical point where ε = 0. Controlling the fate of particles and cells in microfluidic devices is critical in many biomedical applications, such as particle and cell alignment and separation. In this work, we demonstrate that particle positions over the channel cross-section can be shifted ``from the edge to the center'' in a strongly shear-thinning liquid. We investigate the viscoelasticity-induced migration of both rigid particles and living cells (Jurkat cells and NIH~3T3 fibroblasts) in an aqueous 0.8wt% hyaluronic acid solution. The combined effect of fluid elasticity, shear-thinning, geometric confinement and cell deformability on the distribution of the particle/cell positions over the channel cross-section is presented and discussed (see Fig. 4). In the same shear-thinning liquid, separation of 10 um and 20 um particles is also achieved in a straight microchannel with an abrupt expansion. Our results envisage further applications in viscoelasticity-based microfluidics, such as deformability-based cell separation and viscoelastic spacing of particles/cells. Figure 4: Schematic of the PMMA microfluidic device with relevant dimensions ($\theta=20o dimensions not in scale). Experimental images at De=0.92 and De=4.6 are also reported. Red circles highlight 10 um particles. (b-e) Frequency distribution of particles along x coordinate (i.e., upper view) at several Deborah numbers. Publication: C. Galvin, K. Shirai, A. Rahmani, K. Masaya and A. Q. Shen, ``Total Capture, Convection Limited Nanofluidic Immunoassays Exhibiting Nanoconfinement Effects”, Analytical Chemistry, 90, 3211-3219 (2018). Reduction of fluidic and reaction systems to nanometer length scales promises to result in a set of rich and exciting physics of both academic and technological importance. Our experiments observed the capture of green fluorescent protein (GFP) by an anti-GFP capture antibody tethered to the walls of glass channels of rectangular cross sections with heights of 200~nm or 580~nm. 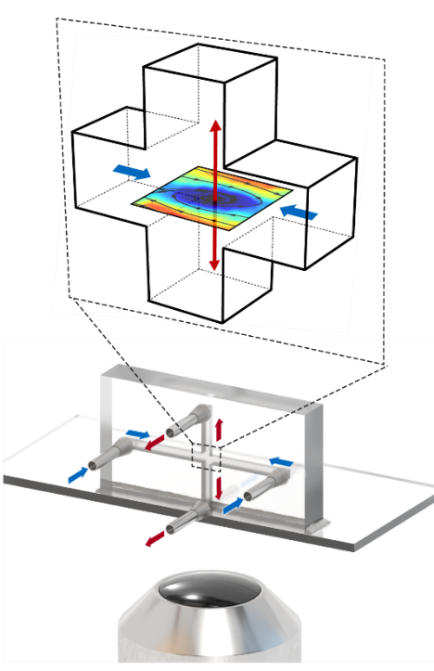 By reducing the channel height to 200 nm, we are able to operate our immunoassay device in the convection limited system (see Fig. 5). The system exhibits wavefronts of the target analyte that propagate along the length of the nanochannel at a velocity much slower than that of the carrier fluid. Our analysis suggests that nanoconfinement results in a preference toward binding of the target analyte with the surface-grafted capture antibody, as evidenced by an apparent reduction in the equilibrium dissociation constant. Our findings motivate the advancement of new biomedical and chemical synthesis technologies by leveraging nanoconfinement effects, and demonstrate a useful platform for studying the effect of nanoconfinement on chemical systems. 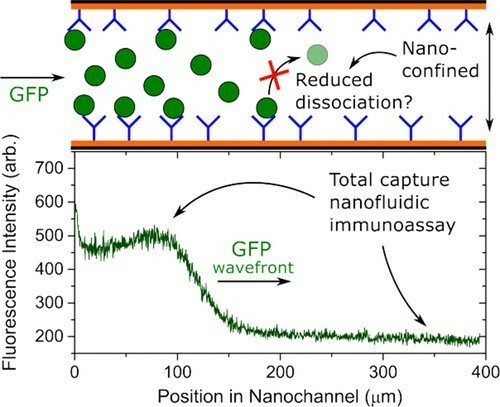 Figure 5: Optimization of immunoassay efficiency inside nanofluidic channels. Our unit recently developed nanoplasmonic materials that can be incorporated into biosensors, serving as highly sensitive transducing elements of the system. Nanomaterials made of gold, silver, graphene and carbon in the form of nanoparticles, nanotubes, and nanofilms often display superior biosensing performance due to their unique electronic and optical properties at nanoscale. This project was completed by 2nd year Ph.D Student Ainash Garifullina as her rotation project. Specific gravity (SG), the ratio of the density of a substance to the density of a reference material, is a standard indicator of the concentration of an analyte in a given solution. SG is routinely used for product quality assessment in the food industry. However, currently available commercial SG meters, such as hand-held refractometers and density meters, are highly sensitive to humidity and temperature, and do not allow real-time measurements. In this context, we developed a graphene oxide (GO)-coated gold (Au) surface plasmon resonance (SPR) sensor, for the first time, to measure the SG of food samples in real-time. SPR can be effectively used for accurate detection of refractive index of the medium at the surface of a metal thin film. Whereas, refractive index is linearly related to specific gravity of the given system. The developed SPR sensor upon correct calibration can be efficiently used for detection of specific gravity values of various food samples as well as being employed in medical diagnostics. This work was published in 2018 and was selected as the editor's choice by Analytical Methods. Publication: N. Bhalla, S. Sathish, C.J. Galvin, R. Campbell, A. Sinha and A. Q. Shen, ``Plasma assisted large-scale nanoassembly of metal-insulator bioplasmonic mushrooms", ACS Applied Materials & Interfaces, 10, 219--226 (2018). In contrast to SPR which is the oscillation of free surface electrons on planar metallic nanofilms, LSPR occurs in metallic nanostructures. In this project, large scale substrates consisting of nanomushroom (NM), with a cap of gold and a stem of silicon dioxide, were fabricated using a simple plasma assisted process involving nanoassembly of metal on insulators. Upon exposure to a low-temperature plasma of sulfur hexafluoride SF6 NMs can be fabricated from a silicon dioxide (SiO2) substrate coated with a heterogeneous distribution of gold (Au) nanoislands (NIs). Ions of SF6 selectively etch SiO2, while Au NIs serve as nanomasks, resulting in structures with a SiO2 stem and Au cap. This etching also reorganizes the heterogeneously distributed NIs into a quasi-homogeneous surface distribution of NMs. See schematic Au NM structures in Fig. 6. Figure 6: Plasmonic gold nanomushroom based LSPR sensing for immunosensing or cell assays. Publication: N. Bhalla, S. Sathish, A. Sinha and A. Q. Shen, “Large scale nanophotonic structures for long term monitoring of cell proliferation", Advanced Biosystems, 2, 1700258. (2018). Proliferation of cells is a characteristic of many normal and diseased tissues. Therefore, in medical research, monitoring cell mitosis is essential to the investigations of health and functions of cells and tissues. However, it remains challenging to develop nanomaterials possessing pertinent properties for sensing, while ensuring cell survival and unaltered cellular responses. Here we developed a highly sensitive, large-scale and bio-compatible nanoplasmonic biosensors for long term monitoring of cell proliferation. Fibroblast proliferation was successfully monitored for 7 days, demonstrating remarkable bio-compatibility of the Au NM substrates. Changes in nanoplasmonic resonances of the Au NM were directly proportional to the number of cells that bound on them (see schematic in Fig. 6). The continuous measurement of LSPR signal allows interrogation of cell adhesion and spreading during its first 24 hrs and then when cell proliferates the LSPR signal correlates the cell number over the next 7 days. The developed NM technology possesses promising potentials to design new strategies for next-generation cell assay tools. This project was carried out by Dr. Nikhil Bhalla with assistance from PhD. student Shivani Sathish for cell related work. This work was selected for the cover image in the April 2018 issue of Advanced Biosystems. Bhalla, Nikhil, Sathish, Shivani, Galvin, Casey J., Campbell, Robert A., Sinha, Abhishek, Shen, Amy Q., Plasma-Assisted Large-Scale Nanoassembly of Metal–Insulator Bioplasmonic Mushrooms, ACS Applied Materials and Interfaces, 2017, DOI: 10.1021/acsami.7b15396. Shen, Amy Q., Research activities of Micro/Bio/Nanofluidics at OIST, Diversity Seminar for Dual Hiring, Fukuoka, Japan, Mar 23 (2018). Shen, Amy Q., Novel Micro/Nanofluidic platforms for biotechnology applications4th Core-to-Core International Symposium "3D Lab-Exchange Program", Bonn, Germany, Mar 8 (2018). Kei Funakoshi, Shivani Sathish, Kazumi Toda-Peters, Amy Shen, Syringe based blood plasma separation, 4th Core-to-Core International Symposium "3D Lab-Exchange Program", Bonn, Germany, Mar 7 (2018). Garifullina, Ainash, Bhalla, N, Shen, Amy Q., Novel nanoplasmonic platform for biosensing applications, 4th Core-to-Core International Symposium "3D Lab-Exchange Program", Bonn, Germany, Mar 7 (2018). Shivani, Sathish, Shen, Amy, Microcontact Printing (μCP): A Powerful Surface Patterning Tool For Bioassays, 4th Core-to-Core International Symposium "3D Lab-Exchange Program", Bonn, Germany, Mar 6 (2018). Toda-Peters, K, Funakoshi, Kei, STI diagnostics in a disposable platform, New Technology Presentation Meetings, Tokyo, Japan, Feb 27 (2018). 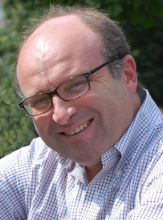 Haward, Simon J., Elastic instabilities in planar elongational flows of polymer solutions, Mini-Symposium: Dynamics of Viscoelastic and Inertioelastic Flows, Okinawa, Japan, Jan 19 (2018). Shen, Amy Q., Miniature technology: from microfluidic mixing to nanoplasmonic sensors in integrated microdevices, Kyushu-OIST networking workshop, Okinawa, Japan, Jan 9-10 (2018). Haward, Simon J., Toda-Peters, Kazumi, Shen, Amy Q., Viscoelastic flow around microfluidic cylinders with high aspect ratios and low blockage ratios, British Society of Rheology Midwinter Meeting, Bristol, UK, Dec 18-19 (2017). Shen, Amy Q., Elastic and inertial instabilities in microfluidic flows, MIMS Workshop, Tokyo, Japan, Dec 6 (2017). Shen, Amy Q., Novel nano- and microfabrications for microfluidics and biosensing applications Nanoplasmonic biosensors: From innovative materials to multimode sensing with integrated microdevices, ISAAT2017, Okinawa, Japan, Dec 4 (2017). Walls, Dan, Haward, Simon J., Shen, Amy Q., Fuller, Gerry, The shape evolution of pendant droplets in miscible environments, American Institute of Chemical Engineers (AIChE) Annual Conference, Minneapolis, USA, Oct 29-Nov 3 (2017). 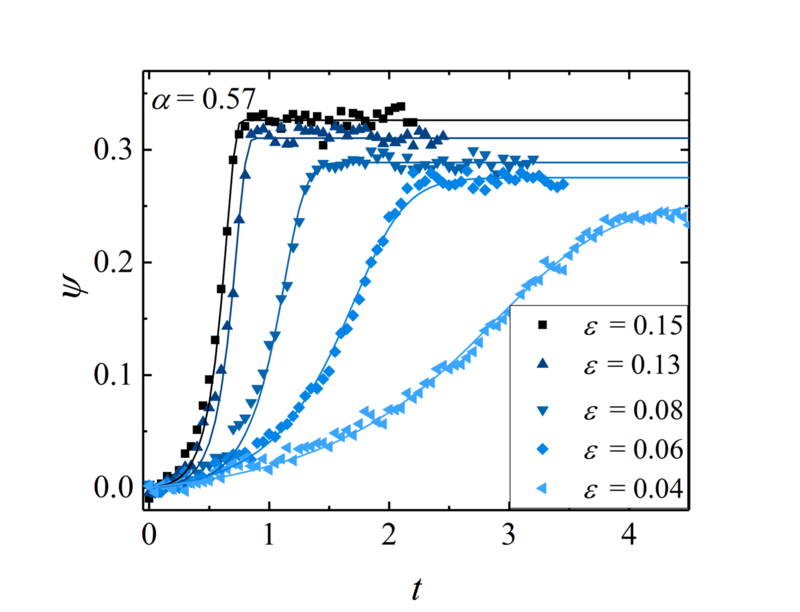 Burshtein, Noa, Haward, Simon J., Shen, Amy Q., Stability of Stagnation Point Flows of Newtonian and Complex Fluids, American Institute of Chemical Engineers (AIChE) Annual Conference, Minneapolis, USA, Oct 29-Nov 3 (2017). Walls, Dan J., Haward, Simon J., Shen, Amy Q., Fuller, Gerald G., Shape Evolution and Spreading of Liquid Droplets in Miscible Environments, American Institute of Chemical Engineers (AIChE) Annual Conference, Minneapolis, USA, Oct 29-Nov 3 (2017). Shen, Amy Q., Nanoplasmonic Biosensors: From Innovative Materials to Multimode Sensing with Integrated Microdevices, American Institute of Chemical Engineers (AIChE) Annual Conference, Minneapolis, USA, Oct 31 (2017). Del Giudice, Francesco, Sathish, Shivani, D’Avino, Gaetano, Shen, Amy Q., Microfluidic-based particle and cell manipulation in strongly shear-thinning fluids, Annual Meeting of the Society of Rheology, Denver, USA, Oct 10 (2017). Haward, Simon J., Page, Jacob, Zaki, Tamer A., Shen, Amy Q., Viscoelastic shear flow through wavy-wall microchannels, Society of Rheology Annual Meeting, Denver, USA, Oct 7-13 (2017). Shen, Amy Q., Zhao, Ya, Haward, Simon J., Flow of wormlike micellar solutions around confined microfluidic cylinders, Society of Rheology Annual Meeting, Denver, USA, Oct 7-13 (2017). Burshtein, Noa, Shen, Amy Q., Haward, Simon J., Calming a storm: Controlling formation and intensity of a “micro-typhoon”, Society of Rheology Annual Meeting, Denver, USA, Oct 7-13 (2017). Chan, San To, Haward, Simon J., Toda-Peters, Kazumi, Shen, Amy Q., Imbalanced outflows, recirculation and vortex breakdown at a microfluidic T-junction, Society of Rheology Annual Meeting, Denver, USA, Oct 7-13 (2017). Del Giudice, Francesco, D’Avino, Gaetano, De Santo, Ilaria, Calcagno, Vincenzo, Esposito Taliento, Valeria, Haward, Simon J., Greco, Francesco, Netti, Paolo A., Maffettone, Pier Luca, Shen, Amy Q., The μ-rheometer: an effective microfluidic platform to measure the relaxation time of weakly viscoelastic polymer solutions, Society of Rheology Annual Meeting, Denver, USA, Oct 7-13 (2017). Haward, Simon J., Shen, Amy Q., Microfluidic Comet Tails, Society of Rheology Annual Meeting, Denver, USA, Oct 7-13 (2017). Haward, Simon J., Toda-Peters, Kazumi, Shen, Amy Q., Viscoelastic flow around microfluidic cylinders with high aspect ratios and low blockage ratios, Society of Rheology Annual Meeting, Denver, USA, Oct 7-13 (2017). Burshtein, Noa, Zografos, Kostis, Shen, Amy Q., Poole, Robert J., Haward, Simon J., Effect of fluid elasticity on vortex formation in a planar elongational flow field, Society of Rheology Annual Meeting, Denver, USA, Oct 8 (2017). Toda-Peters, Kazumi, Haward, Simon J., Burshtein, Noa, 3D Glass Microfluidics: Devices and Fabrication, Select Biosciences Lab-on-a-Chip, Microfluidics and Point-of-Care Diagnostics 2017, San Diego, USA, Oct 3 (2017). Toda-Peters, Kazumi, Haward, Simon J., Burshtein, Noa, Shen, Amy Q., 3D glass microfluidics: devices and fabricaiton, Selectbio Lab-on-a-chip & microfluidics world congress 2017, San Diego, USA, Oct 2-4 (2017). Leung, Hei Man Mandy, Shen, Amy Q., MICROFLUIDIC ASSISTED SYNTHESIS OF CURCUMIN POLYESTER NANOPARTICLES, Lab-on-a-Chip & Microfluidics World Congress 2017, San Diego, USA, Oct 2-4 (2017). Ducloue, Lucie, Haward, Simon J., Shen, Amy Q., Lerouge, Sandra, Poole, Robert J., Casanellas, Laura, Lindner, Anke, Secondary flows of viscoelastic fluids in serpentine microchannels, Université Pierre et Marie Curie, Paris, France, Jul 3-5 (2017). Shen, Amy Q., Balancing acts: viscoelastic and intertial instabilities in microfluidic flows, AMN ISMM APCBM ANZNMF Conference, Hobart, Australia, Jun 27 (2017). Ducloue, Lucie, Haward, Simon J., Shen, Amy Q., Lerouge, Sandra, Poole, Robert J., Casanellas, Laura, Lindner, Anke, Secondary flows of viscoelastic fluids in serpentine microchannels, Soft Matter Days, Paris, France, Jun 26-27 (2017). Galvin, Casey J., Shirai, Kentaro, Kakuta, Masaya, Shen, Amy Q., Surface Binding Site Density in a Total Capture Nanofluidic Immunoassay Device, OIST Symposium "Fundamentals and Applications of Microfluidic Compartmentalization", Okinawa, Japan, Jun 17 (2017). Burshtein, Noa, Haward, Simon J., Shen, Amy Q., Stability of stagnation point flows of simple and complex fluids, OIST Symposium "Fundamentals and Applications of Microfluidic Compartmentalization", Okinawa, Japan, Jun 13-16 (2017). Toda-Peters, Kazumi, Funakoshi, Kei, Oist micro and nanofabricaiton capabilities, OIST Symposium "Fundamentals and Applications of Microfluidic Compartmentalization", Okinawa, Japan, Jun 13 (2017). Zografos, Konstantinos, Burshtein, Noa, Haward, Simon J., Shen, Amy Q., Poole, Robert J., Elastic modifications of an inertial instability in a 3D cross-slot, XVIIIth International Workshop for Numerical Methods in non-Newtonian Flows, Vancouver, Canada, Jun 12-15 (2017). Shen, Amy Q., Elastic and Inertial Instabilities in Microfluidic Flows, Microfluidics, Physics & Chemistry of Gordon Research Conference, Barga, Italy, Jun 6 (2017). Shen, Amy Q., Elastic and inertial instabilities of complex fluids in microfluidic flows, COFTEC Symposia 2017, Kobe, Japan, May 15 (2017). Bhalla, Nikhil, Dual mode mass and charge nanoplasmonic field-effect biosensors, 5th International conference on Biosensing Technologies, Riva del Garda, Italy, May 9 (2017). Del Giudice, Francesco, D’Avino, Gaetano, De Santo, Ilaria, Calcagno, Vincenzo, Esposito, aliento, Valeria, Haward, Simon J., Greco, Francesco, Netti, Paolo A., Maffettone, Pier Luca, Shen, Amy Q., The μ-rheometer: an effective microfluidic platform to measure the relaxation time of weakly viscoelastic polymer solutions, Annual European Rheology Conference, Copenhagen, Denmark, Apr 4 (2017). Konstantinos, Burshtein, Noa, Haward, Simon J., Shen, Amy Q., Poole, Robert J., Spiral vortex instability in 3D cross-slot geometry for viscoelastic fluids: a numerical study, Annual European Rheology Conference, Copenhagen, Denmark, Apr 3-7 (2017). Haward, Simon J., McKinley, Gareth H., Shen, Amy Q., Elastic instabilities in planar elongational flow of monodisperse polymer solutions, Annual European Rheology Conference, Copenhagen, Denmark, Apr 3-7 (2017). Haward, Simon J., Burshtein, Noa, Zografos, Konstantinos, Poole, Robert J., Shen, Amy Q., Vortex formation in a planar elongational flow field: Effect of fluid elasticity, Annual European Rheology Conference, Copenhagen, Denmark, Apr 3-7 (2017). Shen, Amy Q., Zhao, Ya, Haward, Simon J., Flow of wormlike micellar solutions around confined microfluidic cylinders, Annual European Rheology Conference, Copenhagen, Denmark, Apr 3-7 (2017). The Technology Development and Innovation Center at OIST fosters innovation within OIST and in Okinawa to accelerate economic growth. With the excellent support from OIST, my unit has filed 4 invention disclosures and subsequently patents since 2015. Two of these patents led to two ongoing proof-of-concept projects. The OIST Proof of Concept (POC) Program is an internal, competitive funding program that is designed to support targeted research with high potential for developing innovative technologies, and to help bridge the technical and funding gap between lab discoveries and commercialization. We briefly describe the 2 POC projects below. We are developing a portable instrument based on the localized surface plasmon resonance (LSPR) sensing technique we patented in 2017. The proposed system will be used as a generic biosensing platform for a wide range of personal care, health, food, and environment monitoring by detecting the binding events in a bio/chemical assay. Our sytems have key advantages over existing technologies, such as fast turnaround time of diagnosis, high sensitivity & selectivity of the measured analyte, and cost-effectiveness. This project is led by Dr. Nikhil Bhalla with active support from Mr. Kang-Yu Chu. Our aim is to create a simple, portable and manually powered disease diagnostic device, that has the ability to test for multiple viral and bacterial diseases in a timely manner. Specifically, we are developing a completely integrated, easy to use, hand-held sampling and diagnostic device that can be used to test a small blood sample for the presence of multiple diseases. This device does not involve complex user involvement, need any additional apparatuses, external power, or have the need to send the device or sample to a laboratory for further diagnosis. Our technology is suited for both at-home use to respect privacy, and rural use where access to testing facilities is inadequate. This project is based on our recently filed fluid handling technology and relies on our unit's expertise in biomicrofluidics and fabrications. This project is led by research technician Kazumi Toda-Peters, who is an expert in 3D printing and microfabrications, supported by technician Kei Funakoshi and PhD. student Shivani Sathish for the immunoassay work. 1. OIST Workshop "Fundamentals and Applications of Microfluidic Compartmentalization"
2. OIST Mini-Symposium "Transformative Measurements and Experimental Approaches"
3. OIST Mini-Symposium "Dynamics of Viscoelastic and Inertioelastic Flows"